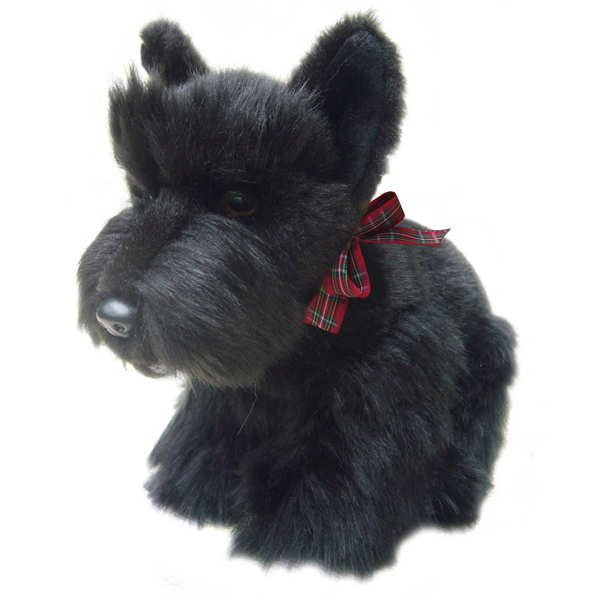 This Scottish Terrier is an ideal companion for anyone aged between 2 and 102. The Scottish Terrier, also known as the Aberdeen Terrier, is one of 5 breeds of terrier that originated in Scotland. The modern breed traces its lineage back to a single female named Splinter II. Scotties are fiery, temperamental, and loyal. Realistic and soft to the touch. This adorable Scottish Terrier with big eyes will melt everyone’s heart! This faithful friend will be a constant companion. West Highland Terriers are intelligent, quick to learn, and good with children. Realistic and soft to touch.